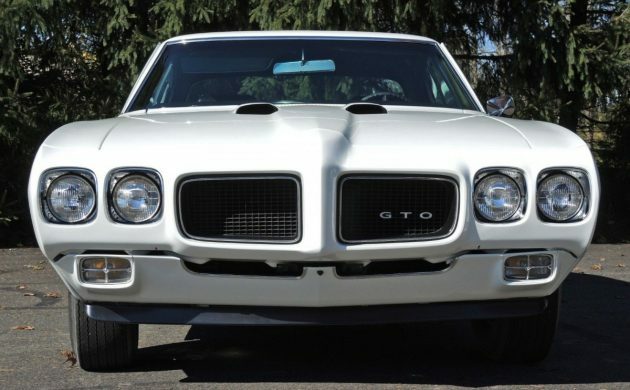 Typically, we like to find cars like this GTO before they’ve been restored, but we will make an exception for this car. 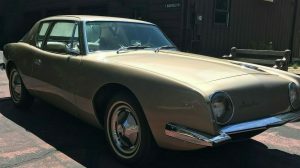 Not only is it a desirable Ram Air IV and 4-speed equipped Judge, but is a beautiful machine that has been periodically restored starting in 2004. Everything from the 370 horsepower 400 cui V8 engine to the polar white paint is in immaculate condition. 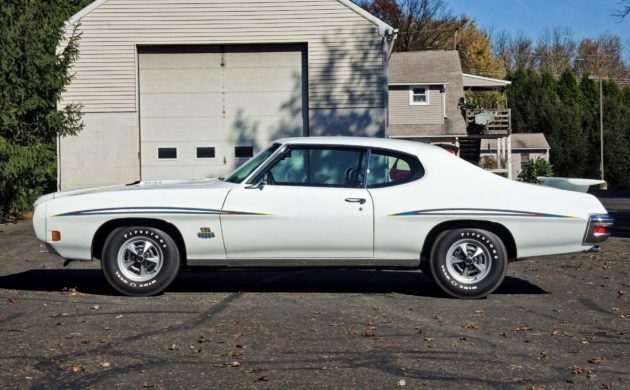 If you’ve been on the hunt for the ultimate ’70s muscle car, you can find this GTO here on eBay in Danboro, Pennsylvania with a current bid of $72,600. As you can see, this car retains it’s original Ram Air system and the seller provides an image of some of the original paperwork in their ad to verify that it is a genuine Judge. 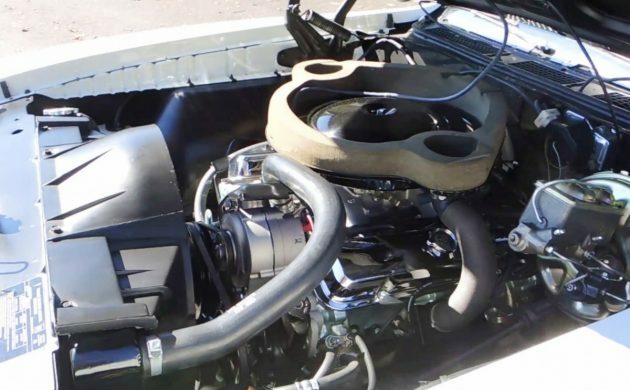 Like many of the muscle cars of this era, this one’s engine was replaced early in its life. It’s a service replacement engine, so it’s a correct 370 horsepower engine that was installed by the dealer. It’s mounted to the car’s original close ratio M21 Muncie transmission. The interior is believed to be original, other than replacement carpet. There are some signs of wear on the seats but is about what you’d expect to see on a 55k mile car that was cared for. It’s held up well over the years and is presentable as is. At one time, Judges were fetching crazy money, but their values have dropped quite a bit in the past few years. Top level cars can still fetch six figures with rough drivers bring in around $50k. These Ram Air IV cars are quite rare, just 325 built in 1970, and this one is in excellent condition. It will be interesting to see how high bidding goes on this one! Given the circumstances of the time the insurance costs could’ve left the owner too ‘broke’ to drive the thing. Good to see one that has been shown some respect! After DeLorean left Pontiac his successor extended the lifespan of the Judge and advertised the car in white, quite a departure from the Carousel Red that most 69s had work. Quickly the marketers realîed the gaffe and hit up their paint suppliers for a new loud color, hence ‘Orbit Orange came on the scene. My all time favorite car. Top of my bucket list. Unfortunately my bank account doesn’t have the same dreams right now. Your wife is likely sleeping around on you John. Is that where the negativity comes from? Thanks for the personal attack. Really classy. Nice car. I friend of mine had the same car, but in a brownish color and a auto. I helped him put it back together, as it was missing some parts. This was back around 1980. I remember finding him a set of perfect “PMD” center caps. The Ram Air system was also missing, but the rest of the car was intact. I also recall it being a lower production “Judge” then the other years. 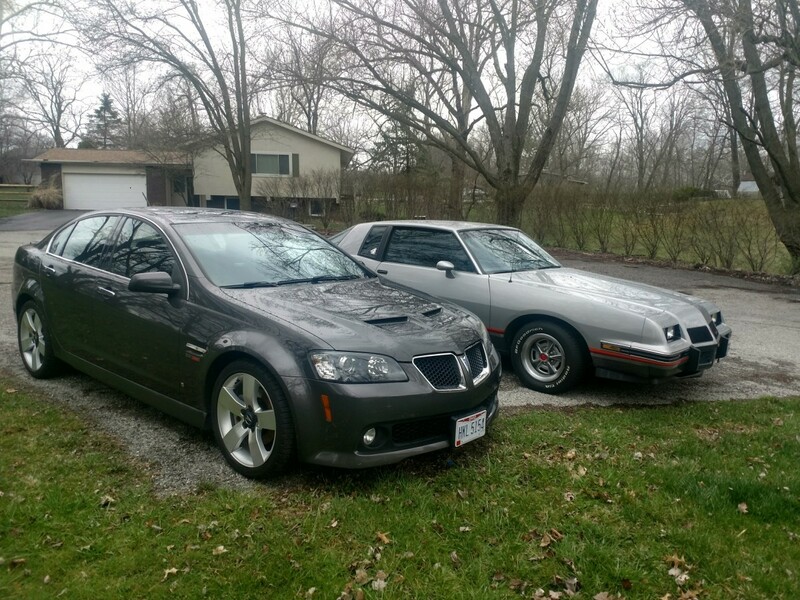 I have become a Pontiac fan. I have been a strict Ford Lincoln Mercury fan for decades. 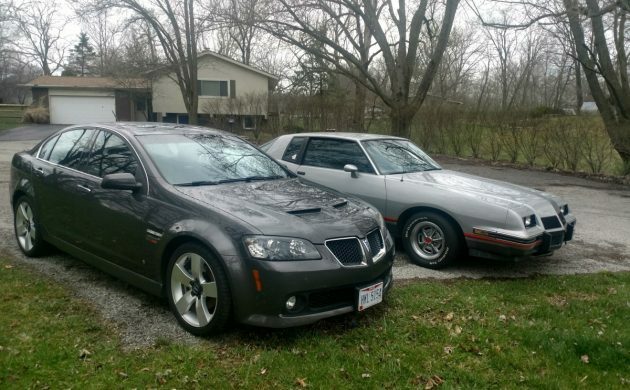 I have had a couple Cyclones, a 65 4 speed and a 67 390 4 speed amoung my favorites. About 3 years ago, I bought an original 86 Grand Prix 2+2 with 42K miles. Last year I bought a 2009 G-8 GT. My love for those two cars ( even though the 2+2 is a poor preformer, the Areocoupe styling is so unique and the G body gives a great and crisp ride and handling! My G-8 GT delivers again with ample HP ( yet I want more) from the LS-2 and handling is extremely good! These cars have opened my biased eyes. 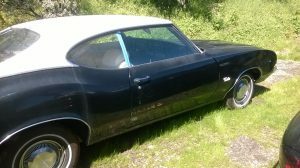 The GTO to me, was over done, like a Camaro, Chevelle, Mustang and Nova’s, had multiple examples at every show. Then the Tri-Power…damn near every 65-67 GTO seemed to be equiped with that setup. 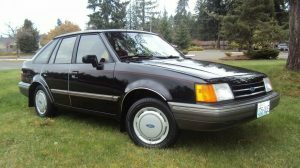 The “common” aspect has turned me off… despite being a great car! If I was a wealthy man, I would love a nice 70′ or 71′ GTO. This one, well some cars look best in one color over another. A color that looks great on one might be disgusting on another, despite it being a slick and straight job. Pontiac had it goin’ on for a long time, should’ve been retained in the GM lineup but for the Gummint know- nothing’s and China’s Buick fixation. Tri-power was not available in ’67. The Judge had originally been seen as a one-year only boost for the aging GTO franchise. After DeLorean left Pontiac his successor extended the lifespan of the Judge and advertised the car in white, quite a departure from the Carousel Red that most 69s had worn. 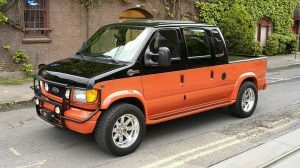 With tepid response at dealers , quickly the marketers realîzed the gaffe and hit up their paint suppliers for a new ‘loud’ color, hence ‘Orbit Orange’ came on the scene. The muscle car era was gasping it’s final breaths, sales weredropping like a stone… that’s why they’re rare. So… a service replacement block was installed in 1972, then the engine was rebuilt in 2011? It’s a beautiful car, GTOs always looked so sporty in and out, under the hood, although I’m not a big fan of the Judge graphics. Like simple paint jobs with minimal to no graphics but I sure wouldn’t mind driving this one around, even if it isn’t the ultimate muscle car of the seventies. Ebay ad says “engine rebuild-2011”. Those side stripes are grotesque. They make it look like a Colonnade, but apparently those fugly things didn’t come out until 1973. I always liked the earlier Goats much better. Inter-changability of engine parts made the Pontiac engines much more affordable and practical when modifying for increased performance. Intake manifold swaps could be performed without having to remove the distributor…very convenient! It is said that Pontiac engines from the 326 to the 455 were all nearly identical except for the 455’s crankshaft journal diameters. Everything beyond that was nearly an easy swap. I sure miss my ’67 GTO, my 70 1/2 TA as well as my ’79 TA L78 WS6 car, but I still long for any GTO from 1965 to 1969. 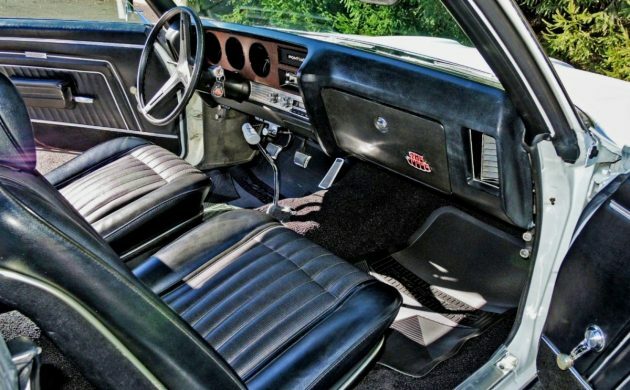 In 1981, I came within minutes of purchasing a ’69 Ram Air III Tans Am, but another fellow had it on the trailer as I arrived with the $3500 asking price. With GM bumbling it’s take with Oldsmobile and Pontiac, I just don’t have it in me anymore to purchase any new GM product. This my favorite year goat! RAIV IMO still better than the new for 70 455 available. Always a 4 speed purist, just think the cars are way more enjoyable. This wouldnt need to be a Judge but would take any color other than brown. My brother had a 70 1/2 raIV 4 speed lucerne blue ta with black deluxe interior that he still kicks himself for running into the ground, it was sweet! I too have seen tri powers installed on 67’s at car shows, people want the iconic look albeit incorrect. Is it just around here or does it seem like gtos are less common at shows these days?!? Seemed liked there were always so many, maybe worse than camaro or mustangs. Drive ’em if you got ’em! Just checked eBay-sold for $75,001 on Feb 6, 2019 at 4:30 pm PST.